Oppo's PM-2 planar magnetic headphones have an uncanny knack of pulling out every last detail from your music. 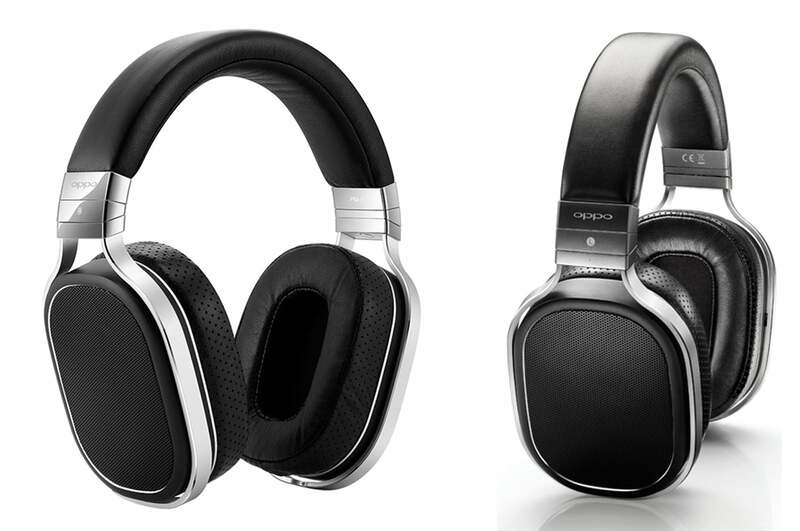 The Oppo PM-2 are all-around spectacular headphones, as well they should be considering their $699 price tag. 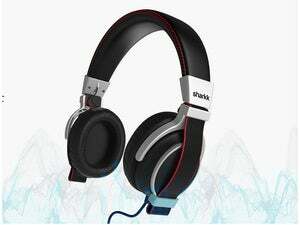 These cans deliver an uncolored, neutral, and engaging musical presentation with an uncanny knack of revealing the finest details from just about any musical source. While you can drive them with a smartphone, you’ll be duly rewarded by pairing the PM-2 with the highest-quality headphone amplifier or digital audio player you can afford (we review four of the best DAPs in this story). If you're not familiar with Oppo, you’re not alone. For much of its existence, the company made a name for itself by producing some of the best and most acclaimed Blu-ray players (and DVD players before that) money could buy. But you wouldn't find those products in any big-box store; you had to shop specialty retailers or buy direct. So when Oppo announced they were entering the high-end headphone market with the $1099 PM-1 planar magnetic headphone and $1199 HA-1 headphone amplifier and DAC, many were taken aback. What does a niche player in the Blu-ray market know about manufacturing high-end personal audio gear? A lot, as it turned out. Universal praise and industry awards quickly silenced the doubters, but it didn’t make those spectacular products any more affordable. Now people wanted a cheaper version of the PM-1 that delivered the same sound quality. Oppo heard those cries and voila! The PM-2 was born. As for performance, Oppo says that aside from some minor adjustments to the voicing in the treble (based on feedback about the PM-1), there isn’t much difference in the technology, design, or component parts in the two models. The biggest differences between the PM-2 and PM-1 are cosmetic matters that don't impact audio reproduction. The PM-2 doesn’t envelop you in luxury like the PM-1 (which is not to say that the PM-2 feels cheap). The PM-1's lambskin headband and ear cups give way to a synthetic leather on the PM-2; the metal trim around the PM-1's grill, and the silver trim between its headband and ear cup body are replaced by high-quality plastic on the PM-2; and the gorgeous wooden storage case that comes with the PM-1 yields to a more casual, soft-shelled, selvedge denim carrying case. Even with cosmetic differences between the two models, you’ll be hard-pressed to tell the difference between Oppo’s $1099 PM-1 (left) and $699 PM-2 (right). Oppo's take on planar magnetic technology is the same in both models. 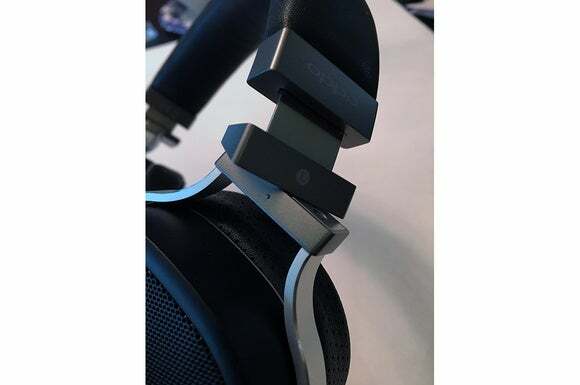 Where more traditional headphones use dynamic drivers (like those in loudspeakers), a planar magnetic design uses an extremely thin and light diaphragm to reproduce sound. A magnetic system drives the entire surface of the diaphragm evenly in a pull-push manner. 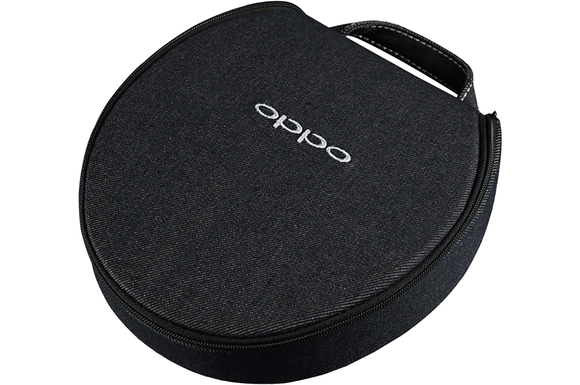 Oppo says that the benefits of its proprietary, double-sided diaphragm include less distortion, greater efficiency, and better consistency. Oppo went for an open-back design that offers many benefits, but there are also some trade-offs: You get a greater sense of musical space and depth, but the drivers are open to the world around you, so you hear everything around you. There's practically no isolation from outside noise and very little to stop the music from leaking out into the environment. To get the best experience with the PM-2, you'll want to listen in a quiet space. The PM-2’s ear cups are removable, replaceable, and/or upgradable. Removing the ear cups reveals the headphones planar magnetic drivers. You’ll never be at a loss finding the perfect fit with the PM-2. The ear-cup arms swivel effortlessly 90 degrees in either direction, and the ear cups themselves tilt up and down. The headband click-adjusts every few millimeters. Many high-end headphones—including some competing planar magnetic models—are heavy. The PM-2 are not, they weigh just 385 grams (about 13.5 ounces). Long listening sessions were no problem in my testing. I could listen for hours without the headphones feeling heavy. As with most circumaural headphones, the PM-2 did get a bit hot. But they also did an above-average job of resisting sweat, and the hypoallergenic, natural latex cushions kept their shape. I still prefer the feel of natural leather to the PM-2’s synthetic material; if leather ear cups are must-have feature (they are for me), Oppo sells lambskin ear pads as a $59 accessory. The Oppo PM-2 earcup tilts up and down and swivels a full 90 degrees for an almost infinitely adjustable fit. The left arm has a small raised dot so that you tell the left from right with your sense of touch. Oppo includes both 1/8-inch and 1/4-inch cables. The 1/8-inch cable is much shorter than I’m accustomed to—it’s about an arm’s length. After extended use, I found the shorter cable a blessing. I could connect the PM-2 to a digital audio player or smartphone and pop the player into my back pocket without excessive slack. No more catching my hand in the slack. The included 1/4-inch adapter is a soft, highly flexible nylon braided cable about 10 feet long, which is perfect for plugging into an external DAC or headphone amp. Aimed at audiophiles, you won't find an inline microphone or remote control on either of the included cables. For my listening tests, I paired the Oppo PM-2 with a variety of players, including a Questyle QP1R, an Onkyo DP-X1 (review forthcoming), Astell&Kern's AK 100II, Sony's NWZ–A17, and an Apple iPhone 6s. The Onkyo DP-X1 also features a balanced headphone input that will accept a 2.5mm, four-pole cable. While Oppo doesn’t provide such a cable, you can purchase one that is compatible with the PM-2 from Double Helix Cables. 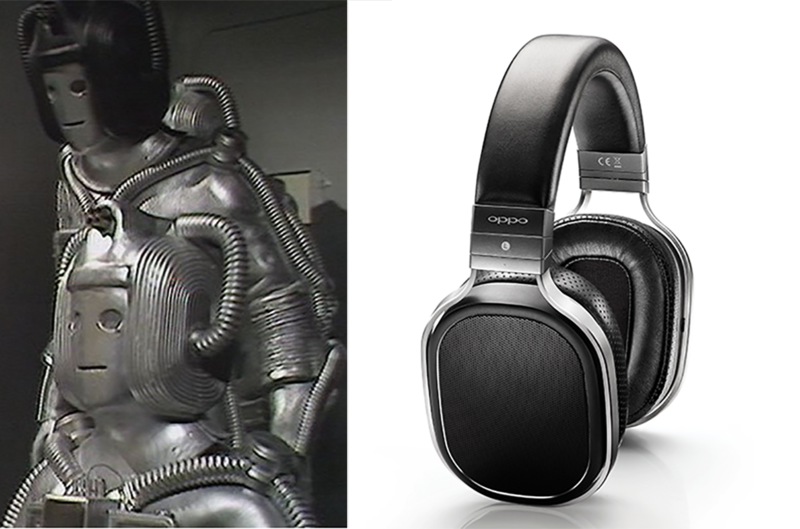 The PM-2 has the pedigree, price point, and accessories of a high-end pair of headphones, but the important question is, “How do they perform?” Let me put it this way: If the Devil is in the details, then the Oppo PM-2 will perform an exorcism on your music. 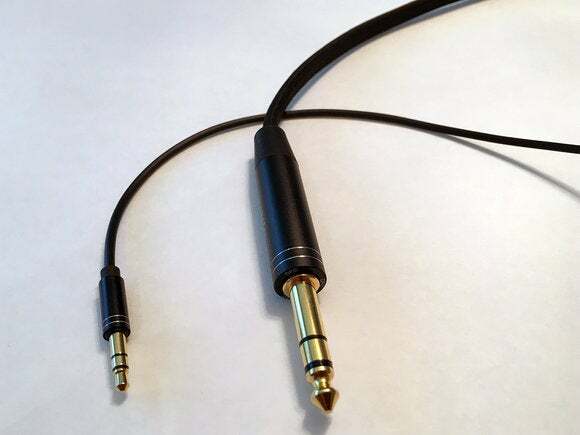 The PM-2 comes with both 1/8-inch and 1/4-inch cables. You can use the PM-2 with either your favorite music player or high end DAC/headphone amp. These are beautiful, neutral-sounding, and highly engaging headphones. The PM-2 have an uncanny knack of revealing seemingly every nuance out of your music. I also found the PM-2 to be exceptionally clean—even at high listening volumes. I can’t recall a single instance where I noted signs of compression or strain when playing a variety of musical genres. Bass lines in Adele’s “Send My Love” and the percussion on “Sweetest Devotion,” both from 25, were ridiculously tight. When listening to “Send My Love” or “I miss you” with other headphones—even very good ones—the beat is a loose, thumping sound. With the PM-2, you hear precise, pristine bass extension and fine decay. Why does that matter? When you hear really good, clean, authoritative bass, it completely transforms your listening experience. There was nothing muddy or veiled in the music. Instruments started and stopped with surgical precision. If there was punch in the dynamics, the PM-2 delivered each blow. And Adele’s vocal nuances and inflections were always crystal clear. Reproducing the grandeur of classical music is a tough act for headphones to pull off, but the PM-2 did an exquisite job. On the Naxos 192/24 Hi-Res recording of Saint Saëns' Symphony No. 3 in C Minor, conducted by Marc Soustrot with Carl Adam Sandstorm on the organ, I noted an uncanny sense of soundstage space and depth with remarkable instrument separation. Strings were delicately rendered, and the majestic organ pipes beautifully reproduced and easily discernible even during complex movements with other instruments. Unlike the PM-1’s luxurious wooden storage box, the PM-2 comes with a more modest selvedge denim carrying case. Calling up the Hi-Res versions of Metallica’s “The Unforgiven,” Patricia Barber’s Cafe Blue, the “Lush Life” from Tony Bennett and Lady Gaga’s Cheek to Cheek, or Pink Floyd’s Wish You Were Here showed that if you wanted to speed it up, slow it down, or just mellow out, the PM-2 could keep up with all of it. 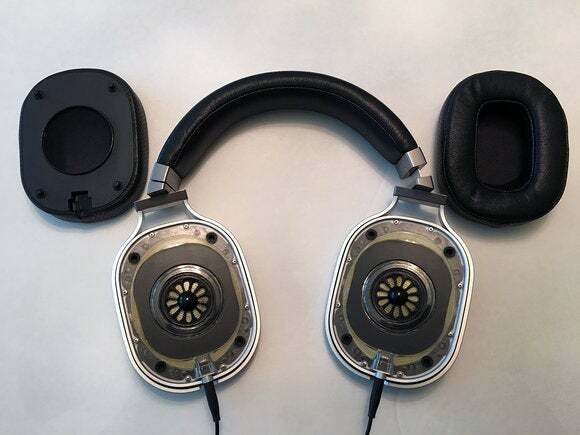 As resolving and detailed as the PM-2 were, they tended to be polite in the bass (though this is a relatively common drawback with open back headphones). Doing an A-B comparison of the PM-2 to either my B&W P7s or even my reference two-channel audio system anchored by Revel loudspeakers showed the difference in the impact of the bass response. 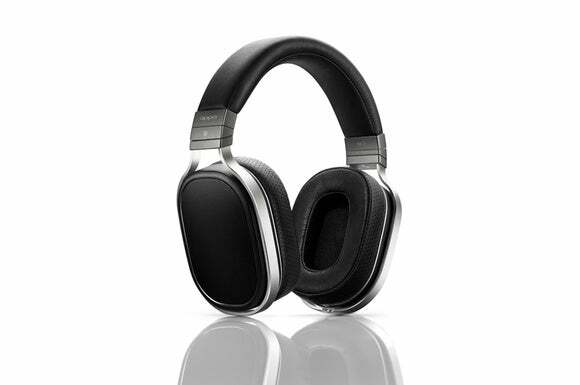 While certainly not the most expensive headphones on the market, Oppo’s $699 PM-2 planar magnetic headphones still represent a significant financial investment. If you’ve been saving your dollars in the hopes of one day finding a killer pair of headphones, that day is here: Oppo’s PM-2 will endlessly engage you, beautifully unwrapping the hidden nuances of your musical collection one layer at a time. There aren’t many no-brainers in life. The Oppo PM-2 is one of them. Very highly recommended.